Few companies evoke strong emotions like Hyundai. While many in the automotive world have not given them enough credit in the past, they have grown to have the respect of the vast majority of auto industry insiders as well as customers. 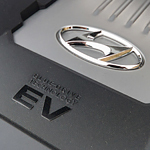 Hyundai is also among the companies leading the way with new and better hybrid technology. While many companies view their hybrid lines as a side business, Hyundai is going all in and trying to create the hybrid of the future with the Ioniq. If you are looking for an excellent selection of Hyundai cars for sale, Spradley Hyundai is an excellent option. The Ioniq stands out for a few reasons. While many drive these vehicles for mileage reasons, style often comes as a secondary motivation. Hyundai has decided to allow the style team to do their thing, and thus the Ioniq is significantly more mass market friendly than other hybrids.